Most guests spend approximately 2-4 hours at the attraction. 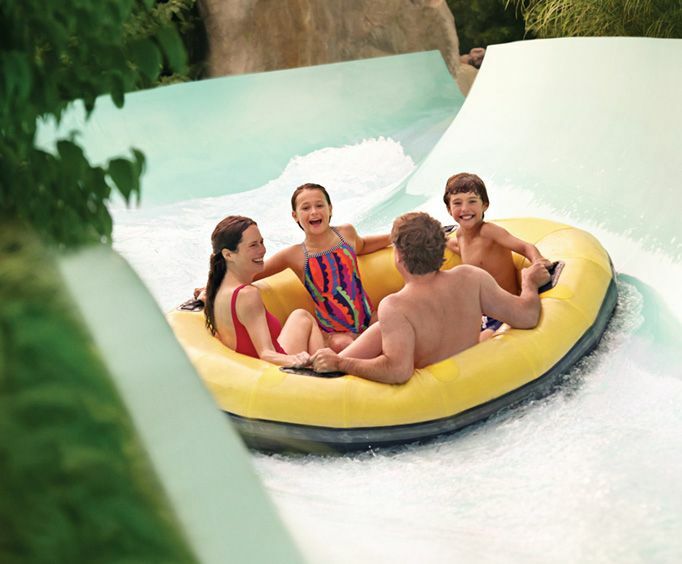 Guests can dive into summertime fun at the mid-Atlantic’s largest water park, Water Country USA. The park offers fun for the entire family with a 1950s and 60s surf theme, new resort-style amenities and more than 30 state-of-the-art water rides and attractions including the park’s newest drop slide, Vanish Point! This is one of the cool things to do in Williamsburg on your Williamsburg, VA vacation. Visit Water Country USA in order to cool off from the hot sun. With slides, rides, and more you are sure to have a fantastic time. Visit Water Country and Busch Gardens with the Busch Gardens USA Flex ticket. Are wheelchairs and strollers available at Water Country USA?If so, is there a rental fee? Yes, There is a rental fee. ATM, picnic areas, eateries, gift shops. Yes. General Parking is $17. Are lockers available at Water Country USA? If so, is there a fee? Yes. There is a small rental fee. Is smoking allowed inside Water Country USA? This park is incredible! There's so much to do and you never get tired of the attractions and rides. It's the perfect place to visit over a summer vacation. The best water park. We have been all over and this is in our top picks. We are planning now for this year. Don't miss it! My family loves this place, it was so much fun. It's a nice place to cool off on those hot summer days, we sure did. "We had a blast! "